Alaska is the 49th state in the USA. It became a state on January 3, 1959. The word Alaska is from the Aleut Indian word "alaxsxaq" or "agunalaskash" that means the mainland or shore. Alaska is a large state, reaching so far to the west that the International Date Line had to be "bent" to keep the state all in the same day. Alaska has 33,000 miles of coastline. It is the only state to have coastline on 3 different seas - the Arctic Ocean, Pacific Ocean and the Bering Sea. It is also the only US state extending into the Eastern Hemisphere. Alaska has more than 100,000 glaciers and has 3 million lakes...who said you can't find lakefront property anymore? Oh Wow! 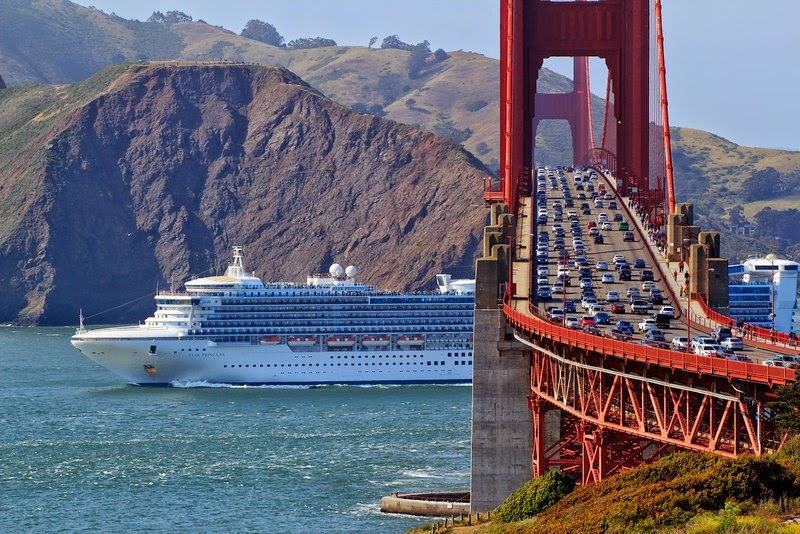 Look at these stunning pics of The Rhapsody of the Seas. These were recently taken by our fabulous travel agent, Donna, who is booking the cabins for our event. She told me yesterday that the bookings for this cruise is "Code Yellow" which means that the ship is almost sold out. If you have been "on the fence" about Sailing With Scissors, now is the time to book. My favourite picture is the chocolate walrus. How cute. Hello guests. Please just a reminder, don't bring along any X-Acto Knives. You won't need them. A pair of plain ol' scissors will do the trick. ---As an aside, here is a cool idea if you have an X-Acto Knive and you don't have protective cover or cap for it. You can insert it or "stab it" into a synthetic cork and it will not fall off. Don't use a real cork because it will eventually crumble and will not keep the X-Acto blade protected. Back to the topic at hand, Customs will confiscate the X-Acto knives. Please don't bring them.